It's a bird, it's a plane... DC Comics' New 52 is nearly one year old and already it's made a huge impact on the medium. With 52 re-launched titles the event attracted new readers and gave longtime fans a change of pace. 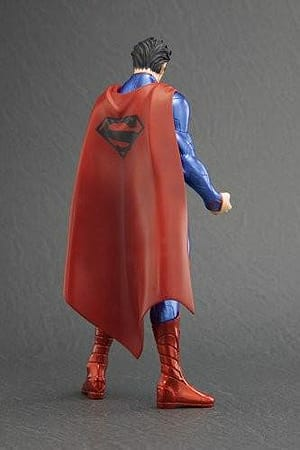 The new storylines also brought new looks and costumes to familiar characters, and Kotobukiya is celebrating those designs in a new series of ArtFX+ Statues starting with none other than the Man of Steel himself, SUPERMAN! 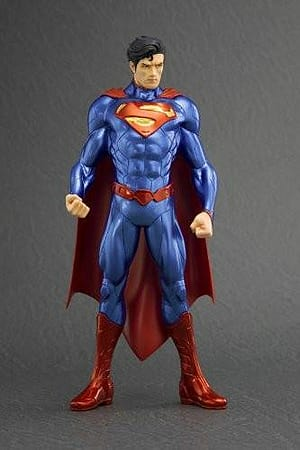 Clark Kent is the last surviving son of planet Krypton, sent to Earth to avoid its destruction. The combination of his ancestry and our planet's yellow sun has given him incredible powers which he uses to defend humanity against its greatest threats. 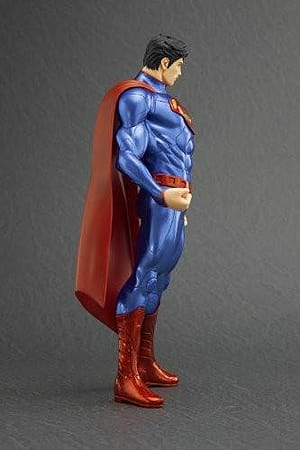 Superman stands in a classic heroic pose, his feet spread apart and his fists held tensely at his sides. 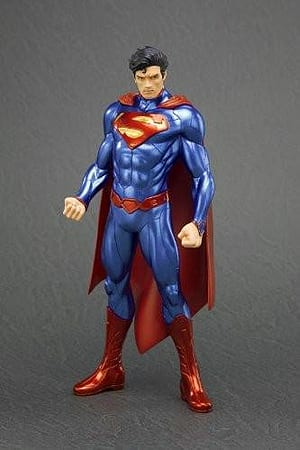 The intense look on his face captures the Kryptonian's focus and drive, while his intricately sculpted muscles show you that he has the power to back it up. 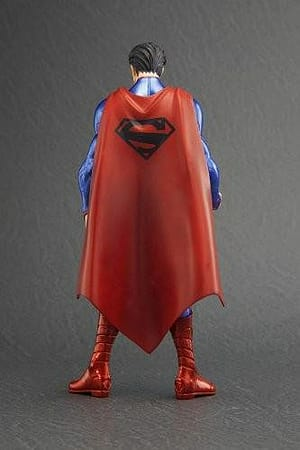 Superman's resplendent red and blue New 52 costume is accurate down to the last detail with its iconic red on yellow S emblem, textured suit, technological belt and boots, and of course his long cape.